At Ibiza Rocks Hotel, Thursday, from 4 Jul to 29 Aug. Rudimental & Friends poolside at the home of the pool party. This scorching hot pool party sees platinum-selling collective Rudimental & Friends at the famous Ibiza Rocks Hotel. This is the place to cool off your boiling spirits at a genre-defying party multi-award winning group. The aural menu brings forth a bounty of smash hits including rap, grime, garage, reggae, afrobeat, dancehall, drum n bass and house as well as pop. To give you an idea, the line-up has included reggae and dancehall master David Rodigan, Radio 1Xtra and tastemaker Charlie Sloth, sensational singer-songwriter Anne Marie, house music hitmakers Gorgon City, one of Africa's hottest stars Mr Eazi, UK garage trailblazers Heartless Crew, as well as drum n bass legend High, huge breakthrough pop sensation Raye and stunning vocalist James Arthur. 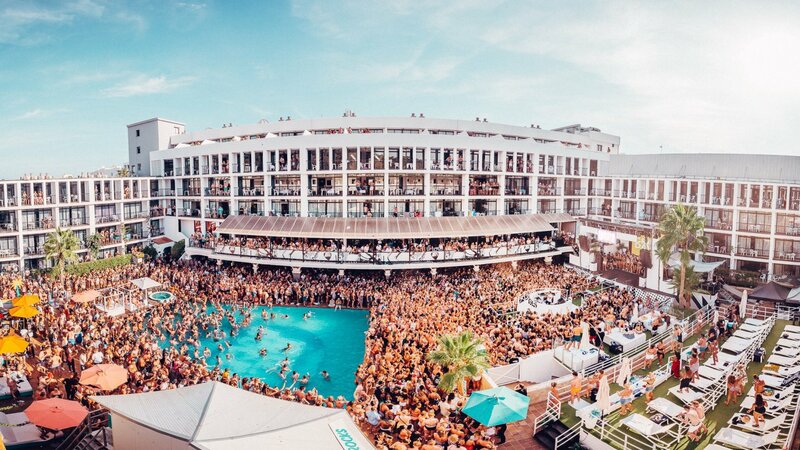 Rudimental & Friends will be at Ibiza Rocks Hotel from Thursday 4 July to 29 August 2019. See below for full line-up details and tickets - the calendar is updated daily.